I read this article and found it very interesting, thought it might be something for you. The article is called The 10 most affordable college towns to visit — and the most expensive and is located at https://www.cheaptickets.com/blog/2018/10/the-10-most-affordable-college-towns-to-visit-and-the-most-expensive/. If you’re gearing up to catch a game at your alma mater, or any other college this fall, you’ll want to take a look at our list of the most affordable—and most expensive—university towns to visit. Wondering how we landed on these particular cities? Pretty simple: CheapTickets calculated the average airfare, hotel and car rental rates for the 25 top college towns from Niche’s 2019 best college athletics in America list. We also gathered the best hotels, bars and attractions for the top five most affordable university towns to help you plan your next trip. Congratulate yourself. If your hanging around the Duke campus, chances are you’ve got some pretty brainy friends. No need to spend a lot of dough here, in the country’s cheapest college town to visit. Stroll the 55-acre Durham Gardens (especially lovely in autumn); visit Burt’s Bees World Headquarters (which includes an observational hive); go for a run along the scenic American Tobacco Trail; and snap a selfie in front of Duke Chapel. EAT A butcher and bakery turned full-service restaurant, Rose’s Meat Market and Sweet Shop now serves pan-Asian street food (think noodles and dumplings) and ridiculously tasting handpies, puddings, cakes and macaroons. DRINK You’re gonna drink beer so you might as well do it at Fullsteam Brewery, a downtown tavern, brewery and hangout space featuring beers crafted, in part, with the help of local farmers. STAY A self-proclaimed art hotel, the 21c Museum Hotel fuses contemporary works with cozy guestrooms. Hang out in an old bank vault surrounded by art, nosh on fancy bites at Counting House or just swing by to peruse the current exhibition. This is Tigers town, so it might seem like everything revolves around football. But there’s plenty to do pre- and post-game, too. Go just outside of town for a breath of fresh air as you hike Chewacla State Park or the Louise Kreher Forest Ecology Preserve & Nature Center. Be sure to explore the downtown area town, too, especially the area around Toomer’s Corner at College Street and Magnolia Avenue. There you’ll find Toomer’s Drugs, an old-school diner, drug store and soda fountain that dates back to 1896. EAT For Great Southern cooking, head to Pannie-George’s Kitchen, where you can fill up on favorites like fried green tomatoes, cornbread, collard greens and fried chicken. You’ll leave full without spending much. DRINK Bar hop along College Street, where drinking establishments like Halftime, Avondale and Quixote’s ooze school spirit. STAY The Hotel At Auburn University puts you within a ten-minute walk of Jordan-Hare Stadium. It’s an especially great pick for families, thanks to its outdoor pool and free Wi-Fi. Squished neatly between Washington DC and Baltimore (although closer to DC), the University of Maryland in College Park boasts a perfectly groomed campus and plenty of open green space. Do this: Check out the College Park Aviation Museum (if only for the fact that it sits next to the world’s oldest continuously operating airport), spend a few hours hiking Greenbelt National Park and test your pinball skills at Mom’s Organic Pinball Arcade (behind a market of the same name). EAT Pizza, pasta and red sauce favorites are all served up in a cozy mom-and-pop atmosphere at Mamma Lucia. DRINK A college bar where you can watch the game, nosh on some grub and guzzle from numerous beers on tap, Looney’s Pub offers a traditional Irish-American pub experience. STAY Traditional accommodations abound; the College Park Marriott Hotel & Conference Center is among the better of the bunch. Rarely are college towns and big cities one and the same, but in Columbus you get the best of both worlds. Rubbing shoulders with the OSU campus is Short North. It’s main artery, High Street, is jammed with college bars, restaurants and indie boutiques. At Main Street Bridge, snap a selfie with the city behind you, then stroll the Scioto Mile, a 175-acre urban playground straddling downtown and the Scioto River. EAT Chase a German sausage with a cream puff (yup, it’s a thing) at Schmidt’s Sausage Haus in the German Village. Wash it all down with a couple of beers and enjoy the oompah band! DRINK There are bars aplenty on and near High Street. Alongside college taprooms like Mac’s Proper Pub and Thirsty Scholar sit more stylish entries including Two Truths and Denmark. STAY The buzzy new Lofitel, a converted bank building, offers spacious rooms with skyline views and whimsical touches like chalkboards, bar carts and full-service kitchens. Pricey during peak weekends, we’ve found weekday rates for as little at $176/nightly. You’ll frequently find Chapel Hill on “best college towns” lists. While University of North Carolina, founded in 1789 as the country’s first state university, ranks high academically, we suspect the designation might have more to do with it being such an outstanding sports town (go Tar Heels!). Or maybe because of its edgy music scene (hello, The Cave). And with both the mountains and the ocean just over four hours away in either direction, the great outdoors are never far away. EAT Don’t leave town without indulging in some authentic Carolina ‘cue. Allen & Son Barbeque is the place to go, where you’ll want to order the hickory smoked chopped pork sandwich. DRINK One of Chapel Hill’s coolest watering holes is the Crunkleton, a private club where old-timey barkeeps in shirtsleeves and bowties serve up modern interpretations of classic cocktails. Yes, it’s members-only but you’ll get in—just pay the $5 fee at the door and you’re in the club for life! STAY The Franklin Hotel puts you right on Franklin Street, in the heart of Chapel Hill’s bustling dining and nightlife area. One of the best perks at this stylish property is the free car service—so feel free to imbibe at a game or a concert without worrying about how you’ll get home. I read this article and found it very interesting, thought it might be something for you. The article is called America’s best beachfront bike rides and is located at https://www.cheaptickets.com/blog/2017/05/americas-best-beachfront-bike-rides/. Imagine yourself pedaling a beach cruiser or a bicycle-built-for-two, a gentle breeze blowing through the air, stopping only for ice cream, epic views and dazzling sunsets over the water. A bike ride fosters a unique intimacy with a destination, and it can be a particularly magical experience along a beach, whether it’s cruising a bustling boardwalk or winding through a natural landscape. Here are a few beachy spots to help foster biking bliss. Deco bikes roll up and down the Miami Beach Boardwalk, intermingling with the beautiful people that make this oceanfront metropolis so glamorous. Enjoy this quintessential Miami Beach experience (which is only allowed south of 21st street) in the early morning or at sunset. Be sure to include a journey to South Point Park for 360-degree views of the ocean. The Marriott Stanton South Beach, right on Ocean Drive, offers its adorable beach cruisers—decorated in pale yellow with bright teal wheels—to guests free of charge. The Confidante – in the Unbound Collection by Hyatt, in Miami Beach’s buzzworthy Mid-Beach neighborhood offers complimentary beach cruisers for local exploration, too. No cars are allowed on this island in northern Michigan, giving this sweet island setting, where fudge shops and Victorian architecture rule, a tempo more befitting of the 19th century. It also makes bicycles an integral part of the experience. Cruise the 8-mile lakefront path that circles the island; it’s Michigan’s only state highway that’s automobile-free, with dazzling views over Lake Huron. Bicycle Street Inn and Suites, as its name suggests, has a fleet of bicycles available for guest rental. The 26-mile bike bath that runs alongside the Pacific Ocean is a colorful kaleidoscope of California eye candy, taking you through Venice, where you can ogle bodybuilders at “Muscle Beach” and street performers from oceanfront cafes, and Marina del Rey, where you can marvel at massive yachts in the water. A journey along this path is on one of the most popular things to do in Santa Monica. The Bayside Hotel offers bright-red beach cruises for guests to rent. Hilton Head Island’s 12 miles of hard-packed beach are totally, completely bike-able during low tide. The family-friendly Westin Hilton Head Island Resort & Spa offers bike rentals onsite for those eager to explore this, and the island’s network of biking paths. ALSO: Ride on! 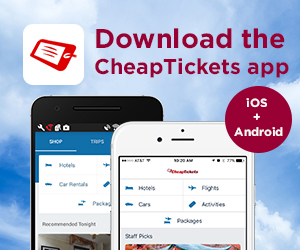 CheapCash is instant when you book a flight on CheapTickets! Chicago’s Lakefront Trail is glorious in summer, and a consistent surprise to visitors who don’t associate Chicago with beachfront bustle. The 18-mile path hugs Lake Michigan, winding through beaches, parks and the city’s museum campus. Hotel Lincoln, in Chicago’s Lincoln Park neighborhood, is convenient to the path and offers guests free bike rentals. Explore this laid-back setting on two wheels. It boasts more than 20 miles of paved biking trails that wind through beaches, sand dunes, riverfront, historic sites and forests shaded by ancient oaks. Be sure to pedal your way to the Georgie Sea Turtle Center, where you can witness the rehabilitation of these sea animals in action. The Westin Jekyll Island, situated right on the beach and convenient to paths, has a bike rental facility right next door. San Diego is blessed with year-round weather perfect for bike rides. Explore the network of paths and bike lanes that traverse the Point Loma Peninsula, which boasts breathtaking views of the Pacific Ocean and San Diego Bay. It’s an adventure that can take you to Sunset Cliffs, Ocean Beach, Mission Bay Park and all the way to Cabrillo National Monument, with its historical sites, whale watching opportunities and tidal pools. The Pearl Hotel is a great springboard to it all. Bonus: It also offers free use of bikes to guests. Forget using your car here, where parking goes quickly and will set you pack a pretty penny. Opt for a leisurely bike ride along the beach, perhaps even cycling up to picturesque Montauk Point (if you’re feeling ambitious). The Maidstone in East Hampton offers guests complimentary use of red cruisers with baskets—ideal for stowing that towel, water and guilty pleasure beach read. I read this article and found it very interesting, thought it might be something for you. The article is called 10 easy ways to have a clean and organized RV tailgate and is located at https://www.cheaptickets.com/blog/2017/04/10-easy-ways-clean-organized-rv-tailgate/. Great fun happens on a tailgate—especially if you don’t take a detour into the land of too many chores. After all, as lovers of RVs we know that when your home travels with you, so does some of the work you do at home. Since you’ve looked forward to chilling out and having a great time on your trip, anything you can do in advance to make life on the road easier is a plus. Getting organized before leaving home is one way to maximize the fun parts of your time away. With some before-you-go tips and tools, you can plan on a clean and organized tailgate. It’s just the simple truth—starting out with a clean RV makes everything easier. You’ll have clean spaces to sleep, eat and bathe in, and you’ll be ready to share those spaces with company. Plus, you don’t want to arrive at the fun and have to start cleaning. Do a deep-clean before you leave so you’re ready to enjoy the game as soon as you get there. Use a microfiber duster and dust from the top ledges to the baseboards. Put out clean sheets and towels. Wipe kitchen and bathroom surfaces. Less stuff equals more space—and this is especially important in an RV. Clear out accumulated clutter from storage areas so that it’s easier to load the necessary tailgating supplies. This also allows you to quickly stash them back in the right spots when you head home. As you begin to pack for your tailgate, start a master list. Every time you head out, you probably pack the same items. Having a master list to turn to makes packing super fast. Keep that list handy on your phone so you always have access to it. It’s also a great way to make sure you take home all of your belongings when tailgating with a big crowd. If you don’t store your tailgating things in your motor home, then make sure you store them all in one location at home. Create a tailgating center in your garage or storage closet so everything you take with you can be found in one spot. ALSO: You know what’s even more rewarding than a clean RV? Signing up for Orbitz Rewards! Keep your home-away-from-home cleaner by stopping as much debris at the door as possible. Travel with an outside doormat to toss down when you park. Choose one with a rough surface that will scrape dirt off of shoes. Inside, add another doormat to catch even more dirt. Finally, add a runner rug down the length of the RV that can be easily removed and cleaned as needed. Even though you started out clean, messes can happen along the way. Make it super easy to clean them up fast by stocking your camper with essentials. Carry extra trash bags, paper towels, cleaning rags, wet wipes, all-surface cleaner, a mop and a small vacuum. Choose containers with tight-fitting lids to use for storing opened food packages. Even if they bounce around during travel, they will stay contained. Likewise, use travel mugs and cups with lids to keep liquids from spilling. Inclement weather tends to bring messes indoors in an RV. The more you stay dry, the more your home-on-wheels stays dry. Make sure to pack umbrellas and rain ponchos. Having extras aboard for guests to use is a great idea. Roll up and store a few absorbent bath mats to put down on rainy days. This will help contain the moisture as folks move in and out. You might be shocked at the suggestion to take your dirty dishes back home with you, but if you are tailgating with a hungry crowd, your small RV sink may not be able to handle the load. Pack an empty plastic tub with a tight-fitting lid to hold dirty grilling tools and dishes. You can deal with them later at home, where you can toss them in your dishwasher or let them soak in a big kitchen sink. Setting up an outdoor kitchen at your tailgating spot can help keep the inside of your RV cleaner. Folding tables, a camping sink and grill will mean much of the food prep will be done outside and the bonus is hanging out with your friends while you cook. Lea Schneider is a professional organizer who provides home and travel organization advice for The Home Depot. She gives lots of great tips, from using a door mat to stop dirt from entering your RV to finding ways to make doing the dishes easier. Visit The Home Depot to find more ways to keep your space clean, including door mats. I read this article and found it very interesting, thought it might be something for you. The article is called Scalping 101: step 1, don’t and is located at https://www.cheaptickets.com/blog/2015/12/scalping-101-step-1-dont/. Perhaps you’re familiar with the thanks-for-playing feeling of utter woe when you realize tickets to the concert you’re whole life has been leading up to sold out in 60 seconds flat. You start going through the five stages of grief. First complete denial. How did it sell out so quickly and how did you not get tickets? How? Next comes anger. You didn’t want to go to that dumb concert anyway! What a lame-fest! Now the bargaining stage. How can you get those tickets? There must be a way. In desperation, your mind falls on one option: scalping. Time for some scalping 101. What’s the first step? Don’t. Scalpers can trick you good. In desperation you will probably fork over any sum of money just to get into the concert. By the time you get to the gate and find that your ticket is a knock-off, that scammer is long gone–definitely not worth the risk. Didn’tthink about that, did you? Scalpers buy bulk tickets to resell for jacked-up prices to you in your time of need. Don’t reward them. That money should be supporting your favorite artist, not that guy. Oh right, artists, let’s see what they think. T-Swift and Bono would be really disappointed to learn how you obtained those tickets. Country artist Eric Church told USA Today that he only wants his tickets to go to his real fans, and those do not come from scalpers. When asked for his opinion on scalpers, Church shared how he really feels. “The people that are scalping these tickets are the equivalent of crime rings basically,” said Church. Then he compared their business to the mafia. Secondary ticket markets like CheapTickets are completely legit, trustworthy and artist-approved. And when you have an affordable, low-risk option, why would you dance with the devil? I read this article and found it very interesting, thought it might be something for you. The article is called The CheapTickets guide to experiential gift giving and is located at https://www.cheaptickets.com/blog/2015/11/the-cheaptickets-guide-to-experiential-gift-giving/. Memories are really the most precious gift that can be given, but have you ever tried to stick a memory in a box and put a bow on it? It’s darn-right impossible. So let us turn to experiential gift giving this holiday season, because gifting experiences is fun for everyone and the best bang for your buck. It also comes with the guarantee that your carefully thought-out gift won’t be re-gifted or end up stuffed in the back of the closet behind dusty VHS tapes. Seats at a Big Ten basketball game — Winter is great time to hunker down and watch some basketball. College teams play nearly every night of the week, so there are plenty of dates to choose from, and tickets are usually pretty affordable. Ohio State plays Illinois in Columbus on Jan. 3 at 5 p.m. Tickets start at $32 on Cheaptickets.com. A trip to the tropics — Forget the gift giving and put that money toward a tropical getaway for you and your bae this holiday season. All-inclusive resorts can be quite affordable and typically include food and some excursions. An all-inclusive trip to the Grand Park Royal Cancun Caribe resort through Cheaptickets starts at about $144 per night, for example. Deals are constantly changing, and holiday sales are burstingwith them right now**, so keep your eye out for a dream destination. Pass to a yoga studio — Or really any sort of gym membership, depending on who you buy for. Plenty of people are desperate to spend some time on themselves, be that through the calming effects of yoga or relieving stress at, say, a boxing gym, but don’t want to fork out the extra $100 or so per month for a membership. Gyms in every city offer varying membership packages so you can choose what would work best for your gift receiver. Tickets to the first showing of Star Wars: The Force Awakens — This may be the perfect gift, assuming, of course, that the person you’re buying for is into Star Wars and this isn’t just some scam to get them to the midnight premier with you. Buy tickets ASAP though–some theaters are already selling out. Distillery tour — A trip along the Kentucky Bourbon Trail might be exactly what your gift receiver needs to warm up this winter. Tours at any of the most well-known distilleries run between $5 to $30 and typically include tons of rich, bourbon-soaked history and lessons on how to get the most flavor out of your bourbon. Sugar Bowl tickets — Since tickets to the Super Bowl are a little unattainable (think upwards of $4k), nab up a pair of tickets to the Sugar Bowl in New Orleans. Isn’t college football more exciting anyway? The game is scheduled for New Year’s Day, so these tickets come with the added perk of ringing in the New Year in the Big Easy. Tickets start at $166 on Cheaptickets.com. Prices will spike once the teams that will actually play in the Sugar Bowl are determined, so throw your allegiances aside and get a head start on your shopping. Laser tag — Insert a little competition into your gift. Laser tag has the potential to provide hours of good ol’ fashioned, competitive fun, and it is usually very affordable. It’s only $8.99 per person for a round at the Blazer Tag Adventure Center in Austin, Texas, for example. So find the nearest laser tag center near you and have at it. Flying lessons — Giving flying lessons could also mean making someone’s dream come true. You can choose the extremity of this gift as well, opting in for the whole nine yards and giving the beginnings of a flying career, or gifting a pass for a one-time trip up into the air. Companies all over the country offer different packages. Windy City Flyers in Chicago offers a “Discovery Flight” package for $225 that includes an hour flight in a Cessna 172 and pre- and post-flight briefings. Twoadditional passengers can ride along for free. Cooking class — A cooking class is the gift the keeps on giving, especially if you plan on gifting this to a roommate. Take your pick of food and type of class, because these offerings span the spectrum. Learn how to make desserts or ethnic foods, or dishes that pair well with certain types of wine. Learn to prepare four courses or just an appetizer, vegan or meat-focused. Some cooking classes are even diving into the BYOB trend so you can get your buzz on behind the counter. 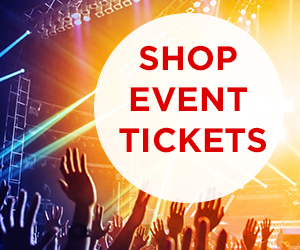 *Use promo code BLACKFRIDAY10 to get 10% off all event tickets Nov. 23-30, 2015. **Use promo code RIBBON to get 20% off qualifying hotel stays Nov. 23-30, 2015. 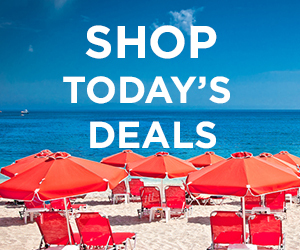 Also, get up to $20 back in CheapCa$h with any flight booking of $100 or more Nov. 23-30, 2015.